We currently manufacture discs in four distinct lines of plastic. 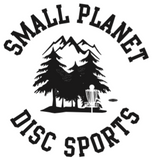 Each plastic offers unique flight characteristics and advantages to match the various needs of throwers and the diverse environments encountered on different disc golf courses. Our top of the line Star Line Plastic offers high performance, outstanding durability and great grip. Our superior Champion Line plastic provides very high quality discs with excellent durability. Our versatile Pro Line plastic enhances grip and offers increased glide in flight. The ever-popular DX plastic is available in the widest variety of disc models and weights, plus it is offered at a value price. Choose the plastic that is best suited for your abilities and situations and remember that INNOVA is the leader in developing new disc technology. Our Star Line is created with a special blend of grippy, resilient polymers. Star Plastic offers the same outstanding durability of our regular Champion Plastic, plus improved grip like our Pro Plastic. Star discs have the same flight rating characteristics of Champion discs, although some Star Lite discs may be slightly more high-speed stable. High performance, longevity, and superior grip make Innova Star Line discs the ideal choice for your game. Many Star Line discs are available for custom hot stamping. 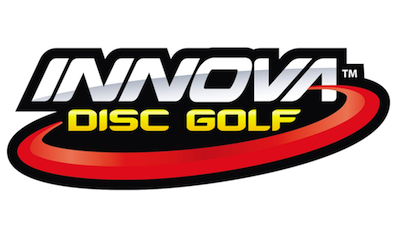 Discs once destined for the landfill are now given new life as Innova’s Echo line of discs. In an effort to minimize waste, we created a product with great characteristics that is also environmentally friendly. Echo plastic has shown that reprocessed plastic can be blended into high performance discs that players want. Made up of a blend of high-tech recycled plastic with a minimum of 50% pre-consumer waste, each Echo disc has nearly the same durability as our premium plastics with a superior grip. No other disc manufacturer has been able to match this, let alone create an entire line of high-tech recycled discs. XT is a tough plastic blend that was originally developed for the Nova and Atlas. It worked so well, it spread to other models. Grip is off the charts and durability is almost as good as our premium plastics. XT is firmer than R-Pro, and less firm than KC Pro with a unique grip that feels great in the hand, and inspires confidence when throwing. Our Pro Line is manufactured using a special blend of plastics designed to provide unique qualities for each model. These quality discs offer increased durability over our DX plastic and provide an enhanced grip when compared to the Champion plastic. Our Pro Line Discs provide additional glide when compared to all our other disc lines and are more affordable than our premium Champion or Star Line discs. The different blends of our Pro Line plastic can produce discs in a wide range of rigidity, from extremely soft and flexible to stiff, firm plastic. Regardless of the firmness of the disc, all Pro Line models offer unique gripablity. Many Pro Line discs are also available in colorful I-Dye designs. Most models are available for custom hot stamping. Our R-Pro Line is softer than most Pro blends. R-Pro discs have the best all-condition grip and an improved feel. R-Pro has great flexability which makes it the best choice for putt & approach in cold/wet weather.